Competing Project Constraints star is nonsense. It is always the scope, cost and time. Resource and risk can only be subgroups of cost and time. Resources mean cost and time. Risks can cost and delay the project. I too agree with you. Yes, all the constraints would generally fit within scope, cost and time. But, this is how PMBOK would like to explicitly state the extended set of constraints. Realistically, you can have resource constraints that can't be solved by money within the time available (you literally can't find and hire an appropriate person in the time available). 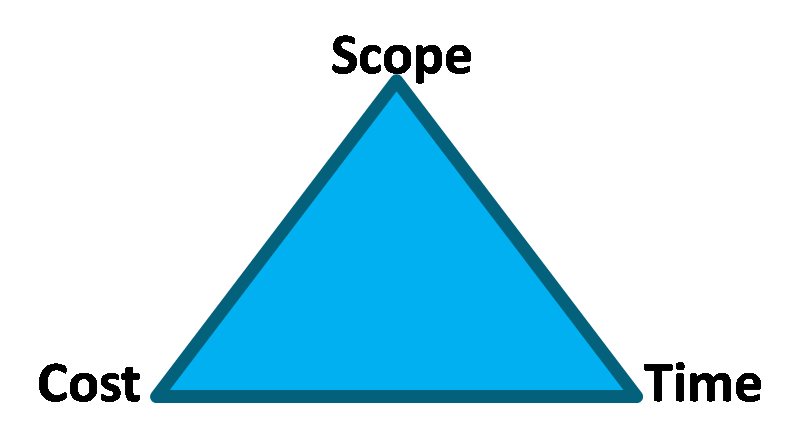 Also, because the quality aspect of scope is often overlooked (and scope is taken to mean just features) you can deliver a project that looks good on the time, cost, and scope (features) side but suffers from poor quality. 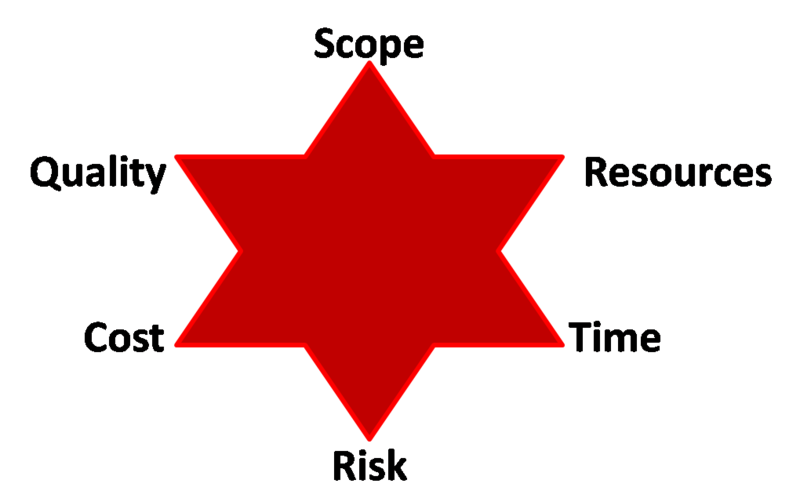 You can also be in a situation that is high risk (because of outside factors, for example) where you may indeed complete it with time, cost, and scope intact ... but there's a 30% chance that, for example, a key person will quit, some technology will change, or a law will change which would scupper your whole project plan. So it's correct to identify 6 factors instead of 3. Yes Andrew, your points are valid. But, the three constraints were easier to manage. I always felt Scope, Time and Cost are the core areas. Most of the risks would fit within Scope risk, Cost risk and Time risk. Similarly, quality hinges a lot on scope definition. The product acceptance criteria is part of scope. However, I am not against making it obvious by increasing the constraints to six. 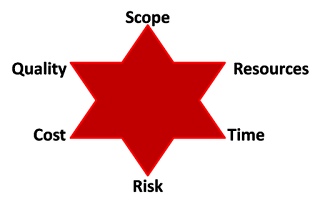 To update the star model with the six competing restraints, at the center of the star is a seventh constraint - "Customer Satisfaction"